Gwent was so popular when it appeared in The Witcher 3: Wild Hunt that it branched out to become an actual online collectible card game for the PC, PlayStation 4 and Xbox One. Soon, the popular card game will be made available for mobile devices later this year. Additionally, Gwent: The Witcher Card Game will have its first expansion launching on March 28th. 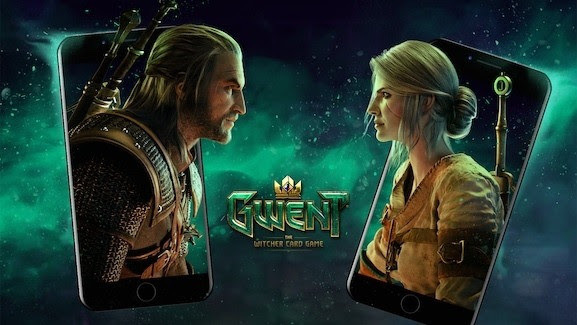 CD Projekt Red has revealed that Gwent is coming to iPhones later this year. The mobile version will allow gamers to play the game anywhere they can bring their smartphones. If you’re an Android user, you’ll have to wait for its release announcement at a later date. Gwent’s first expansion, Crimson Curse, is available this Thursday for the PC, PS4 and Xbox One. You can check out the launch trailer below. There’s going to be over 100 new cards, with many having new abilities and mechanics. Furthermore, 5 new leader characters will be introduced including old and new characters from The Witcher games. Gwent: The Witcher Card Game is a digital collectible card game that’s free to play on the PC, PS4, and Xbox One. The goal is to win two out of three rounds for the turn-based two-player mode. It’s all about strategy and sometimes tricking the other player with the way you use your cards. There’s also a single-player campaign, Thronebreaker: The Witcher Tales, that follows Queen Meve as she tries to take back the north.